Our Yvette is a health and fitness coach, posing coach and fitness instructor. She is also a professional athlete in UKUP, Pro Elite and FMC. 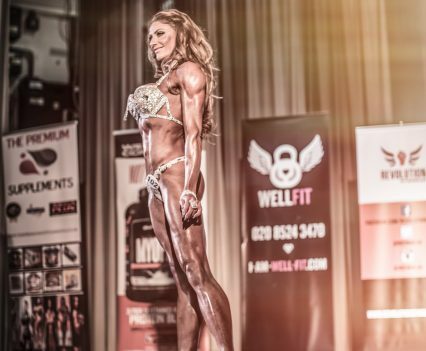 Her list of achievements is endless – including being a PCA Bikini British Finalist, the holder of the Pure Elite Fitness Model 1st place, a PRO CARD holder and Miss Shape Grand Prix Champion 2017. Dress size: 10; Height: 5ft 10; Weight: 10.10; Location: Manchester.